Incoming first–year and transfer students on the Athens campus of Ohio University participate in Bobcat Student Orientation to get acclimated to campus. They meet with faculty, administrators, and other students who inform them about University policies, academic requirements, and student services, as well as help them register for their first semester of classes. Orientation sessions for students entering fall semester are held in the summer, with each group coming to campus for a one–and–one–half–day program. Information regarding this program is mailed in the spring to incoming students. Parents and guardians are encouraged to attend. For students entering the University in a semester other than fall, a mandatory orientation and registration program will be conducted before the beginning of that semester. Information will be sent from University College . Further information about Bobcat Student Orientation is available at Baker University Center 417, 740.593.1951, or by visiting www.ohio.edu/uc/bso/. All students who have earned fewer than 30 credit hours must complete “AlcoholEdu/Haven“—the online alcohol education and sexual assault education course. Detailed information about this course will be provided at Bobcat Student Orientation. Failure to successfully complete “AlcoholEdu/Haven” will prevent registration for classes for future semesters. If you are relocating to the Athens campus from a regional campus of Ohio University and have fewer than 30 credit hours, you must take the course. Additional information about AlcoholEdu/Haven is available from the Campus Involvement Center at Baker University Center 355 & 339, 740.593.4025, or involvement@ohio.edu. As noted above, if you are an incoming first–year or transfer student, you will receive assistance with registering for classes, along with other information during orientation. Continuing students are required to meet with their academic advisors prior to registering. All continuing undergraduate students will have an academic advising registration hold placed on their record and to register for an upcoming semester, the student must meet with their academic advisor to have their hold released. Students may register during priority registration period where each student is assigned an enrollment appointment time at which point the student may register (or any time after that time) provided their advising hold has been released and no other holds exist that prevent registration. It is recommended that you contact your advisor in advance of your enrollment appointment time to schedule an advising appointment. Re–enrolling students should visit the University Registrar web page at: www.ohio.edu/registrar/register.cfm#re-enrolling or contact the Office of the University Registrar, 740.593.4191, or their regional campus student services office. If you are a continuing or re–enrolling student at Ohio University, you should follow procedures for using the registration system. The procedures are available online at: https://www.ohio.edu/registrar/How-to-Register.cfm. Registration is not permitted after the Friday of the second week of the semester (in the case of some individual classes, after the first day) for classes that meet the full semester. All registration procedures should be completed by the Friday of the second week of the semester. In cases where late registration is necessary, you will be charged a retroactive registration correction fee beginning the day after the Friday of the second week of the semester, unless late changes are the result of University delays, as determined by the registrar. The fees are: third week, $40; fourth week, $60; fifth week, $80; and sixth week, $100. During the orientation process you will be given information about obtaining an Ohio University identification card. On the Athens Campus, ID cards can be obtained and replaced at the Bobcat Depot, Baker University Center 112 (Bobcat Depot hours). Each regional campus also has a designated site for issuing ID Cards – check with your regional campus for details. This card, which is validated by your registration, gives you access to campus services, including your meal plan, bobcat cash account, the exterior doors to your residence hall, recreation facilities, athletic events, library privileges, and Campus Care. More information about your ID card is available at https://www.ohio.edu/oit/id-cards/index.cfm. The initial card is issued free of charge. Replacement of lost or damaged cards will be subject to a replacement fee. A re-enrolling student that was previously issued an ID card will be charged a lost card fee, if a new card is required due to loss of the original card. Lost cards should be deactivated immediately by using the eAccounts system found on the Bobcat Cash website to ensure the lost card is not used to access your residence hall, meal plan, or debit accounts. Information on deactivating a lost card and obtaining a replacement can be found at https://www.ohio.edu/oit/id-cards/index.cfm. Cards that need to be reissued due to a change in legal name, preferred name, or PID number will be issued free of charge, provided you return your old card when the new one is issued. Please check your Catmail regularly for official University correspondence. Notifications of grades, schedules, and billings are sent to your University email address. Many Ohio University departments and professors depend on your University email for both announcements and assignments. We do not recommend forwarding your University email account. To learn more, visit www.ohio.edu/oit/email. If you have problems accessing your email or have questions, call the OIT Service Desk at 740.593.1222 or submit a request online at www.ohio.edu/oit/help/. You must report any changes in your personal data to the Office of the University Registrar. This includes changes in name, Social Security number, and birth date. Requests for changes/corrections in name, Social Security number, or birth date must be accompanied by documentation verifying the correct information as required by the registrar’s office. These requests should be sent to Registrar Services, first floor, Chubb Hall, Athens, OH 45701. Address, telephone number, cell phone number, and emergency contact information can be updated online by accessing My OHIO Student Center. NOTE: International students in F–1 or J–1 status are required to use My OHIO Student Center to update their addresses with Ohio University to meet immigration reporting requirements. Please note that, as a student, if you provide the University with a cell phone number (public or private) and you are an Athens campus student, you will be subscribed automatically to the emergency communication system. If you are a regional campus student, please check with your regional campus student services office about emergency communications. Preferred name and pronoun(s) may be reported and updated online by accessing My OHIO Student Center. Your preferred name will be used in lieu of your legal name wherever the legal name is not required. For example, your preferred name will be used in Blackboard, on faculty class rosters, on DARS, on advisee lists, and in the online directory. For more information, please visit www.ohio.edu/registrar/preferred-names-faqs.cfm. Your preferred pronoun(s) may be reported so others do not need to make assumptions about your gender identity. Effective Fall Semester 2012-13, course credit earned at Ohio University is designated in semester hours. Normally a semester credit hour will be awarded for a minimum of 750 minutes of formalized instruction that typically requires students to work at out-of-class assignments an average of twice the amount of time as the amount of formalized instruction (1,500 minutes). It is acknowledged that formalized instruction may take place in a variety of modes. One hour of credit shall be awarded for a total of 1,500 minutes laboratory instructional time. Your student standing—or year in college—is determined by your total number of semester hours earned. Freshmen have completed 0 to 29.9 hours; sophomores, 30 to 59.9; juniors, 60 to 89.9; and seniors, 90 or more. As an undergraduate student, you will usually carry a course load of 15–20 semester hours, even if you are on academic probation. For tuition purposes, a course load of 12–20 semester hours is assessed standard fees by the University. If you receive financial aid, veterans educational benefits, or are a student athlete, you must carry a minimum of 12 semester hours to be considered eligible. If you are an international student in F–1 or J–1 status, you must enroll for a minimum of 12 semester credit hours to meet immigration reporting requirements. For most scholarships, you must enroll for and earn a minimum of 15 semester hours. Note that completing 15 hours per semester for two semesters per year for four years makes a total of 120 semester hours—the minimum total required for a baccalaureate degree from Ohio University. If you register for fewer than 12 semester credit hours, you will be assessed part–time fees for the semester. If you register for more than 20 hours, you will be charged an additional fee for each hour over 20. The registration system will not allow you to register for a course that causes the total academic hours to exceed the maximum. You must receive permission from your college student services office or regional campus student services office to register for more than 20 academic hours in a semester. If you are granted permission to exceed the maximum hours, you will receive a Permission to Exceed Maximum Credit Hours form that should be returned to Registrar Services, first floor, Chubb Hall. Please note that if you withdraw from a class after the first two weeks of the semester the course remains on your academic record with a withdrawn grade and you are responsible for paying for it. Student Athletes—Maintaining Eligibility. As a student athlete, after your first academic year in residence or after one season of eligibility in a sport, eligibility for competition shall be determined by your academic record in existence at the beginning of the fall semester or at the beginning of any other regular term of that academic year. Eligibility is based on satisfactory completion of at least 24 semester hours of academic credit prior to the start of the athlete’s second year of collegiate enrollment (by the beginning of the third semester). Only six hours may be taken in the summer to satisfy the 24 hour rule. You must earn a minimum of 18 semester hours during all subsequent years of enrollment and hours earned in a summer semester cannot be used to fulfill the 18-hour requirement. Additionally, six semester hours of academic credit must be earned the preceding regular academic semester for which you were enrolled full-time at any collegiate institution. You must be enrolled in a minimum of 12 semester hours to be eligible for practice or competition. Additionally, students entering their second year of enrollment must maintain a minimum accumulative grade point average of 1.8, students entering their third year of enrollment must maintain a minimum accumulative grade point average of 1.9, and students entering their fourth or subsequent year of enrollment must maintain a minimum accumulative grade point average of 2.0 to be eligible for competition. You must declare a major by the beginning of your third academic year and have completed at least 40 percent of the specific degree program requirements. By the beginning of your fourth year, 60 percent, and by the beginning of your fifth year, 80 percent of the specific degree program requirements must be met. You may declare a major when you apply as a freshman or transfer student by selecting the program on the application form. If you are undecided about a major, you may enroll as an undecided major in University College or another college. Some programs of study have more selective admission requirements than those set by the University in general, and admission to the University does not grant automatic admission into those programs. Consult the college in which the major is offered or the Office of Undergraduate Admissions for further information on limited or selective admission policies for freshman or transfer students . If you are in an undecided major and wish to declare a major, or if you would like to change your major program, contact the college in which the major program is offered to see if you meet the entry requirements and discuss your plans with a staff person. Honors Tutorial College students should consult with the Honors Tutorial College before applying to the student services office of the college to which the student would like to be accepted. International students in F–1 or J–1 status must obtain approval from International Student and Faculty Services before changing their majors. Students choose a double major or dual (second) degree for a variety of reasons including personal interest in the subject matter, development of knowledge and skills required for further education or for a career, or preparation for graduate or professional school. Talk to your assigned advisor about the feasibility of pursuing a double major or dual degree and to discuss specific requirements. You may pursue multiple programs simultaneously in one or more colleges. Pursuing multiple majors that lead toward the same degree within the same college is a double (or triple) major. For example, completing a major in accounting and a major in marketing will result in a single degree, the Bachelor of Business Administration. Completing a major in accounting and a major in mathematics (two majors in two colleges) results in two degrees, the Bachelor of Business Administration and the Bachelor of Science and is an example of dual-degrees. 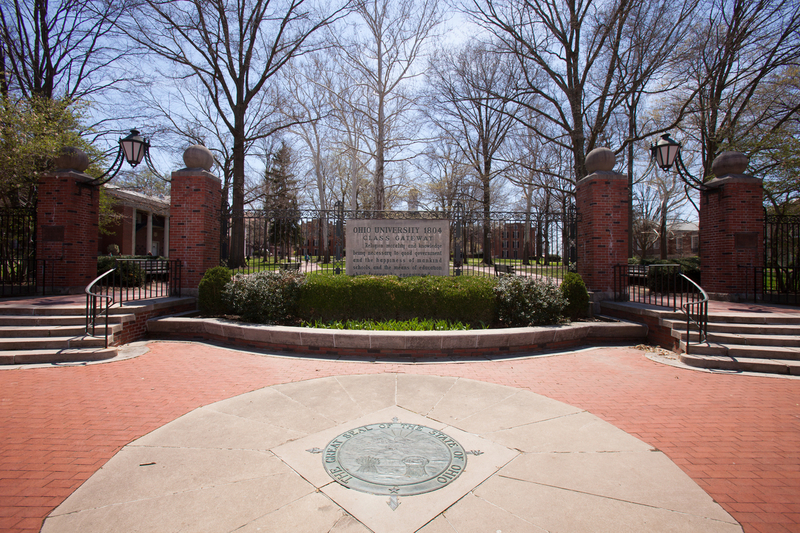 To complete requirements for two baccalaureate degrees, you must meet the requirements for both degrees and must complete a total of 135 semester hours of college work, with a minimum of 45 semester hours of residence, or the equivalent, at Ohio University. When the two degrees are offered by different colleges, you must declare a major program in both colleges and meet all of the degree requirements, including the residence requirement, of each major. If you have met the requirements for two degrees, as stated above, and want to have the degrees conferred in successive semesters, you may do so without further credit or residence. For example, one degree may be conferred at the end of one semester and application made for the second degree in a subsequent semester. Alternately, you may have both degrees conferred in the same semester. One diploma is provided for each degree earned. To declare a second major or dual-degree, contact the college in which the major program is offered to see if you meet the entry requirements and to discuss your plans with a staff person. You may declare a minor or certificate by contacting your college or regional campus student services office. In the case of flexibly scheduled classes (classes that meet for fewer days than a semester or session), the deadlines are prorated. Deadlines to add, drop, and withdraw from individual classes are published in Course Offerings and students may find these deadlines in My OHIO Student Center by clicking the calendar icon. Contact Registrar Services, first floor, Chubb Hall, 740.593.4495, or registration@ohio.edu for additional information about deadline dates. You may add a class, drop a class, or correct your registration by accessing My OHIO Student Center before the semester or session begins. However, adding certain classes after classes begin requires permission from the instructor and is prohibited after the Friday of the second week of the semester. Dropping any class after the Friday of the tenth week of the 14-week semester or the last instructional day of the fifth week of the seven-week summer session is prohibited except by petition through your college’s student services office. (See “Drops” below.) International students in F–1 or J–1 status considering changes to their class schedules that result in less–than–full–time enrollment (12 credits) must see an advisor in International Student and Faculty Services before processing the changes. Adds. You may add a class via My OHIO Student Center only through the Friday of the first week of the semester or session. However, please note that departments or individual instructors may close registration for their classes prior to Friday of the first week of the semester. After the Friday of the first week and through Friday of the second week of the semester, you may add a class only with instructor permission. For classes requiring the instructor’s permission, you will need to obtain a class permission slip from the instructor or department/school representative and then return the class permission slip to the office indicated for final processing. You may add a class for which you have not met the requisite only by receiving the instructor’s permission to take the class. After the Friday of the second week of the semester (Friday of the first week of the session), your schedule becomes official. Your final tuition charges are based on your enrollment as of the deadline. Drops. You may use My OHIO Student Center to drop any class except your last class (see “Canceling Registration or Withdrawing from the University” below) through the Friday of the second week of the 14-week semester or the Friday of the first week of the session. Classes dropped will not appear on the student’s academic record. Withdraws. You may use My OHIO Student Center to withdraw from any class except your last class (see “Canceling Registration or Withdrawing from the University” below) after the Friday of the second week of the semester (Friday of the first week of a session) and through the Friday of the tenth week of the semester (last instructional day of the fifth week of the session). However, the classes remain on your academic records with grades of WP (Withdrawn Passing), WF (Withdrawn Failing), or WN (Withdrawn Never Attended), and they continue to be used in the calculation of tuition and fees. WP, WF, or WN grades do not affect the student’s grade point average. After the Friday of the second week of the semester (Friday of the first week of a session), your schedule becomes official. Your final tuition charges are based on your enrollment as of the deadline. If you withdraw from the University or reduce your course load after the deadline, you must still pay the full tuition fees, and your classes will remain on your academic record with WP, WF, or WN grades. Dropping or withdrawing from a class is prohibited after these deadlines, but under very exceptional circumstances, you may petition your college in writing to make an exception. Your reason must be substantial. Fear of earning a low grade in the class is not considered to be an exceptional circumstance. Only in extreme instances, in which circumstances beyond your control make you unable to have your registration in order by the end of the Friday of the second week (or Friday of the first week) of the semester/session deadline, will the University consider making an exception to this policy. Even then, such decisions are made by a review panel and require that formal documentation, such as a doctor’s statement, be submitted to the Tuition Appeal Review Panel. The student services office in your college or regional campus can help you present an appeal to the review panel. Cancellation Before Classes Have Begun. Cancellation of registration is defined as dropping all classes before the first day of classes. This is determined by the earliest start date of any of your classes taken during the session/semester. This includes all classes for which you are registered on all (one or more) campuses. You may cancel your registration by accessing My OHIO Student Center, or you may call or visit the registrar’s office or the student services office of your college or regional campus to obtain a Cancellation of Registration form, which you then complete and return to the Office of the University Registrar. An adjustment of your tuition and fees is made according to the schedule in the “Refund of Fees” section. Canceling registration for a semester does not prevent a student from registering for a future semester. International students in F–1 or J–1 status must see an advisor in International Student and Faculty Services before canceling their registration or withdrawing from the University. Withdrawing After Classes Have Begun. Withdrawing from the University is defined as dropping all classes on or after the earliest start date of any of your classes, and no later than the day before the last day of classes, as determined by the earliest end date of any of your classes, for the semester or session. Note: this includes all regular Ohio University classes for which a student is registered for a given semester, whether on one campus or more than one. This does not prevent a student from registering for a future semester. Withdrawal is not permitted on or after the last day of classes. You cannot withdraw from the University using My OHIO Student Center. You should contact your college or regional campus student services office to complete the Request for Withdrawal Form. When the request has been approved by the college or regional campus student services office and housing, your withdrawal is processed by the Office of the University Registrar, which grants an official withdrawal after determining that all obligations to the University have been met. International students in F–1 or J–1 status must see an advisor in International Student and Faculty Services before canceling their registration or withdrawing from the University. Withdrawal between the first day of classes and the Friday of the second week of the semester (Friday of the first week of a session) results in an 80 percent tuition and fees reduction. Medical Withdrawal. A withdrawal for medical reasons may result in a registration hold being placed on your records, and, if a hold is placed, to re-enroll you will have to request clearance from the Dean of Students. When the clearance is approved, the hold will be released. Multiple Consecutive Withdrawals. Two or more consecutive withdrawals may be cause for placement of a registration hold on your record by the registrar or your academic dean. A petition to release this hold would be considered by your academic dean. Military and Military-Affiliated Students Affected by Deployment or Permanent Change of Station. When a student, or the parent, spouse, or partner of a student is called to active military duty, or receives a short-notice PCS assignment, it often is not possible for the military or military-affiliated student to have anticipated the effect this has on their enrollment status. Therefore, faculty and staff are encouraged to be as flexible as possible with the students who wish to make arrangements to complete coursework for credit. Please see Policy 12.060 for available options. Tuition and fees will automatically adjust when the class schedule is adjusted. Tuition and fees will not reduce for classes dropped after the stated drop deadline (refer to the Academic Calendar for drop deadlines). Tuition Appeals. A student who withdraws during the semester may be eligible and petition for a tuition adjustment, if exceptional circumstances exist. You should consult with the student services office of your college or regional campus to determine, if you may be eligible for a tuition adjustment. To request an adjustment, you must complete a Tuition Appeal form and, in the case of a withdrawal for medical reasons, have your physician or other service provider complete the Medical Documentation form. A tuition/fee adjustment, if approved, will be based on the information you submitted with the Tuition Appeal form and your class attendance record. Completed tuition appeals and, if applicable, medical documentation forms should be submitted to the student services office of your college or regional campus. Additional information and forms required for the tuition appeal are available online at www.ohio.edu/provost/apaa/appeals.cfm. The weight given to class attendance in determining your grade is an academic matter; thus, all instructors are responsible for their own attendance policies. Although your instructor will state specific attendance requirements during the first week of classes each semester, the University does expect you to attend and participate in classes regularly. Excused Absences. Although instructors’ policies govern how excused absences will be handled in their classes, certain absences are considered legitimate by the University. These include illness, death in the immediate family, religious observance, jury duty, and involvement in University–sponsored activities. If you are participating in an authorized University activity (departmental trip, music or debate activity, ROTC function, or athletic competition), you can obtain notification from the sponsoring office. If you are in the military reserves and reserve training (including reasonable travel time to training locations), a letter from the commander of your military reserve unit showing the date of the absence and the reason for it will serve as prior notification. If you visit OhioHealth O’Bleness Hospital, Ohio University Campus Care, or other health care facilities, you can ask for and receive official notification to verify to your instructors that you have visited these health care centers on a specific day. However, it is your responsibility to request and obtain such notification. It is assumed that, whenever possible, you will visit the health service as an outpatient without missing class. If your grade has been affected by a legitimate absence or absences that your instructor does not excuse, you may appeal through the normal grade appeal process (first through the instructor, then the department chair or school director, and then the dean of your college). If satisfaction is not achieved through this process, the dean may appoint a faculty committee of five members, including the chair or director of the department or school in question, to consider your case and render a decision. The decision of this committee is not subject to further appeal. Dropping Nonattending Students. If you miss the first two meetings of a class where the meetings are fewer than 80 minutes or the first meeting of a class where the meeting is 80 minutes or longer, the instructor has the option of not admitting you to the class, whether or not you are registered for it. If you miss the first two meetings (or first meeting if 80 minutes or longer), check with your instructor to verify your status in the class. If you have not been admitted, you will need to drop the class by accessing My OHIO Student Center. Note: If the instructor does not admit you to the class, you must drop the class from your schedule by accessing My OHIO Student Center. Otherwise, you will receive an FN (failure never attended), or an FS (failure stopped attending) for the class at the end of the semester. FN and FS grades count in your GPA the same as F grades (0.0 grade points). You may register to audit classes, which allows you to preview or review courses without receiving a grade or semester hours. Classes taken for audit count in calculating tuition, but they do not carry credit or count toward financial aid eligibility. Audited courses will appear on your official transcript but will not affect your GPA or semester hours earned. Audited courses will not count toward any graduation requirements. Your instructor may set up specific requirements for auditing the class, and if you do not meet the requirements, you may be removed from the class at your instructor’s discretion with a grade of WP, WF, or WN. Be sure to discuss your auditing status with your instructor at the first class meeting. A student interested in taking a class under the audit grading option should register for the class, then contact the student services office in their college or regional campus student services office (by the Friday of the second week of the semester) to request that a course be taken for audit. A regular grade course may NOT be changed to audit option and audit course may NOT be changed to regular grade option after the Friday of the second week of the semester (Friday of the first week of summer session). Option A—Noncredit. The qualifying student who wishes to participate in classes, but not for credit, asks permission of the instructor to sit in on the class. The student should complete the Sixty Plus Program form, obtain appropriate signature(s), and return the form to the Office of the University Registrar or regional campus student services office with proof of age and Ohio residency. Option B—For Credit. The Option B procedures are for the qualifying student who wishes to earn credit for the tuition–free courses. The academic load under this arrangement for a given term must be less than full time. In addition to being a “qualified student” as described above, the student’s family income must be “less than two hundred percent of the federal poverty guideline, as revised annually by the United States secretary of health and human services in accordance with Section 673 of the ‘Community Services Block Grant Act,’ 95 Stat. 511 (1981) 42 U.S.C.A. 9902, as amended, for a family size equal to the size of the family of the person whose income is being determined.” The student should complete the Sixty Plus Program form and follow the instructions for processing as described on the form. Sixty Plus Program forms can be obtained at Registrar Services, 1st floor, Chubb Hall or online at www.ohio.edu/registrar/forms.cfm. You must be a registered student or approved under the Sixty Plus Program to attend classes at Ohio University. If you are a full–time student, you also have the privilege of visiting classes for which you have not registered specifically, if you obtain the instructor’s permission ahead of time. Observation and evaluation of any classroom (including online) by any observer or evaluator requires prior notification and mutual agreement of the class instructor and the observer or evaluator, and notification to all students in the class. Recording of classroom activities by any electronic means, by students, other faculty, University administrators, or others, requires permission of the instructor. All students in a class must be informed, if permission has been given for a class to be recorded. Honors Tutorial College (HTC). Students in HTC may complete graduate courses for credit. Graduate courses (courses numbered 5000 or above) will automatically become part of their undergraduate records (transcripts and DARS reports). If the HTC student wants the graduate course(s) to become part of his/her graduate record, he or she must contact the HTC to complete the appropriate application form. This paperwork should be completed prior to the semester in which graduate credit is sought. Departmental Honors. Students in a recognized departmental honors program may take a maximum of three graduate courses in their major departments/schools during their senior years (i.e., after earning 90 or more semester hours of undergraduate credit). Hours earned in these courses will count toward total hours required for the undergraduate degree only; the grades will be calculated into the undergraduate GPA. Registration in graduate courses requires written permission from the instructor. Participation in this option is at the discretion of the department or school. Students process this special registration by obtaining permission from the departmental honors coordinator and submitting the approval form to the registrar’s office for processing. Graduate Credit for Seniors. If you are an Ohio University student, or a well–qualified senior attending another university, and within six hours of completing all requirements for a bachelor’s degree, you might be eligible for graduate study as a senior. You must have an overall GPA of at least 2.5 and obtain written permission from the graduate chair of each department/school offering the graduate courses and from your college student services office. Permission to take such courses does not constitute admission to a graduate degree program. If you are admitted as a senior for graduate credit, you will pay undergraduate fees and will not be eligible for graduate assistant or graduate scholarship support. Generally, no more than two graduate courses may be taken in this way, and graduate courses will not fulfill any undergraduate requirements. The graduate credit becomes part of your graduate record only; it does not affect your undergraduate course requirements, hours earned, or GPA. The Senior for Graduate Credit application should be completed and submitted, with the application fee, to the Graduate College prior to the start of the semester for which that status is sought. Request this option through the Graduate College, Research and Technology Center room 220, before registering. A $10 application fee is charged, and admission is granted for one semester only. Early Admission to a Graduate Program. Based on superior undergraduate performance, you may qualify for early admission to a graduate degree program. You must have an overall GPA of at least 3.5 and must have completed all undergraduate requirements, except the total credit hour requirements, by the time you enter the graduate degree program. You also must obtain written permission from your department/school, the department’s/school’s graduate committee, and the student services office of your undergraduate college. Once admitted, you may enroll in graduate classes for graduate credit. These classes can be used to satisfy both graduate degree requirements and undergraduate total credit hour requirements, but the hours and grades are part of your graduate record only. Apply through the Graduate College, Research and Technology Center room 220, before registering. If you qualify, you pay graduate fees only and are eligible for graduate assistant or scholarship support. Students in the Honors Tutorial College also must complete the HTC Combined Degrees form as part of the application for early admission. Final examinations for classes are held during a formal examination period at the end of the academic semester. You are required to take the examinations according to the schedule published by the Office of the University Registrar, which is available online at www.ohio.edu/registrar/calendar.cfm. Each final examination is scheduled for two hours. Final examinations are given in the regularly scheduled classroom unless the instructor is giving a combined sections examination. Instructors will notify students in courses having combined sections examinations of the time and location of the classroom where the examination will be given. If a combined sections examination conflicts with a regularly scheduled examination, the instructor of the combined sections examination will schedule an alternate time with those students affected by the conflict. When a student finds a conflict between two combined sections examinations, the student will report to the instructor in charge of the first of the two as listed in the combined sections final examination schedule before the opening of the examination period. This instructor will plan a special examination for the student. If a student has an additional conflict, the student will report to the instructor in charge of the second of the two courses as listed in the combined sections final examination schedule. The instructor will arrange for an examination in this course at another time during the examination period. Students will not be required to sit for more than three final examinations in one day. Should a student be scheduled for more than three examinations in one day, the student may seek relief from the instructor with the examination scheduled latest in the day. This process must be initiated and completed by the 13th week of the semester. The instructor will provide an examination for the student at a mutually agreed on time during the examination week. The final examination for departmental honors work must be taken before the opening of the regular examination period. Consult your departmental honors program coordinator for more information. At the close of a semester/session or upon completion of a class, the instructor reports a final grade indicating the quality of a student’s work in the class. The University Registrar’s deadlines for submitting grades each semester or session must be met. Failure to do so creates problems for students, such as loss of employment, scholarships, financial aid, and opportunities for further study. Once grades are submitted to the University Registrar, they are final and cannot be changed unless evidence of an error can be presented or a formal grade appeal process is completed in accordance with Ohio University’s official grade appeal policy (see “Grade Appeals” below). Grades cannot be changed by arranging to complete additional work. Grade point values are assigned for each semester hour of credit completed according to the grading system below. The basis for determining a student’s scholastic standing is the grade point average (GPA). This average is determined by dividing the total number of grade points earned by the total number of semester hours of credit attempted for a letter grade. For example, if a student earned a C (2.0) and a B (3.0) in each of two three–hour courses, first multiply the number of hours in each course by the grade point value for that grade (3 x 2 = 6 and 3 x 3 = 9) and add the grade points for each course together to find the total number of grade points (6 + 9 = 15). Then add the number of hours attempted (3 + 3 = 6) and divide the total number of grade points by the total hours attempted (15/6 = 2.5). The student’s GPA after completing the two classes would be 2.5. A student’s GPA is figured only on credit hours attempted—courses for which the student receives letter grades (A–F), FN (failure, never attended), or FS (failure, stopped attending). FN and FS have the same value as an F. Grades of P (pass) and CR (credit) represent hours earned but are not used to calculate the GPA. A course for which a grade has been assigned by a faculty member will not be removed from the student’s academic record without approval of the University Review Panel and the instructor (see Policy 12.050, “Canceling Registration, Dropping Classes, and Withdrawing” and the Faculty Handbook). A course for which graduation credit is not allowed or a course that has been retaken, will be identified on the student’s academic record (transcript). Grades for these courses do not affect the grade point average, and credit hours do not count toward graduation. A regular course with fixed content can be retaken to affect the student’s GPA. Retaking the course removes the hours and the effect of the earlier grades from the calculation of the GPA. However, all grades appear on the permanent academic record (transcript). The last grade earned is the one used to calculate the GPA, even if it is lower than the earlier grade(s), and only the last instance’s credit hours are accepted toward any requirements for graduation. The number of times a student is allowed to retake an undergraduate course for the purpose of improving the grade is restricted to a maximum of two, in addition to the first attempt. Withdrawals are not counted as an attempt. Some graduate and professional schools will include all grades in their own calculations of the GPA when determining a student’s eligibility for admission, even though Ohio University calculates the GPA by using only the last grade in a retaken course. Courses taken at Ohio University and retaken at another university are not eligible for grade point adjustment under this policy. No course taken pass/fail may be used to fulfill any graduation requirement (college, school, or department) other than the total hours requirement. For example, courses taken pass/fail cannot be used to meet distribution requirements, minor or certificate requirements, requirements of courses above a specified level, a specific course established as a major requirement, or any other such requirements in the student’s program. Colleges may refuse permission to use the pass/fail option for courses that are eligible to meet any requirements that have not already been met by the student; if they do grant permission in such a case, the student will have to meet that requirement with some other course. Courses taken pass/fail prior to the student’s entering the program cannot apply to program requirements other than total hours for graduation. The student may take no more than one class per term or session by pass/fail. To initiate the pass/fail option, the student should register for the class by accessing My OHIO Student Center, and then contact his or her college or regional campus student services office (no later than the Friday of the second week of the semester or the Friday of the first week of a session) to request a class be taken pass/fail. Pass/fail requests by regional campus students are reviewed by the student’s college student services office on the Athens campus and may be denied, if an inappropriate choice has been made. Pass/fail applications cannot be processed through My OHIO Student Center. Effective Summer Quarter 2010-11, Ohio University records grades for all acceptable transfer courses with a “T” preceding the grade earned on the student’s academic record and the Degree Audit (DARS) Report. Effective Fall Quarter 2005–06, Ohio University accepts and applies transfer courses from Ohio public institutions in which grades of D+, D, or D- are earned (per Ohio Department of Higher Education policy to ensure the equitable treatment of transfer students across Ohio’s public institutions of higher education). Effective Fall Quarter 2005-06 through Spring Quarter 2010-11, these courses reflect a “TD” grade on the student’s academic record and DARS report; effective Summer Quarter 2010-11, the grades are recorded as earned with a “T” preceding the grade earned. The total number of semester hours of credit earned at each institution is recorded on the permanent academic record (transcript), but no grades are recorded. Transfer students, therefore, enter Ohio University with no grade point average on their Ohio University academic records. Prior to Fall Quarter 2005–06, D+, D, or D- grades were not transferable. However, if a student earned a D+, D, or D- in a course that was a specific prerequisite (as stated in the academic catalog of the prior school) to a course in which the student earned a grade of C or better, then the course in which the D+, D, or D- was received was accepted for credit earned, and the T grade was recorded on the DARS report. The segmented transcript policy was developed as a way to allow students who leave the University with low grades and re–enroll after an absence of four or more years to begin coursework without the threat of academic probation. Under this policy, all of the student’s courses are reflected on the transcript, but the GPA grades earned earlier are changed temporarily to CR (for any passing grade) and NC (for any failing grade) which removes them from the calculation of their accumulative GPA, while the hours earned will be carried forward. The new GPA after segmentation will be used for determining probationary status and liability of being academically dropped. The new GPA also may be used, at the discretion of relevant officials or committees, to determine eligibility for entrance to academic programs or for scholarships and honor societies, although they also have the option of using the combined (true) GPA. However, the GPA for determining the 2.0 minimum overall GPA for graduation and in the major, as well as honor status at graduation, is based on all hours attempted at Ohio University, including those attempted before segmentation. Upon graduation, the Office of the University Registrar will return all grades to the original grades and recalculate the GPA. Upon graduation, a student may request a letter from his/her academic dean; this letter will explain the Segmented Transcript Policy and include the student’s “Fresh Start” GPA (the GPA since segmentation). The student must petition the college student services office or regional higher education office to have the transcript segmented. The instructor assigned to a class has full responsibility for grading, subject to the appeal process described in this section. In unusual circumstances (e.g., death, incapacity, or indefinite inaccessibility of the instructor), the department chair (or school director) is responsible for the final grade, subject to appeal by the student to the dean as described in this section. A student appealing a grade must make a concerted effort to resolve the matter with the instructor of the course. Failing such a resolution, the student may appeal the grade to the department chair. The chair must attempt a resolution acceptable to both the student and the instructor but does not have the authority to change the grade. The department chair may enlist departmental grievance procedures to assist in resolving the grade appeal at the departmental level. If the resolution at the departmental level is unsuccessful within the semester following submission of the grade and the student wishes to appeal, the chair shall forward the appeal to the dean of the college for action. If the chair is the instructor, the student appeals directly to the dean. In cases not involving academic misconduct, the burden of proof for a grade change is on the student. If the dean concludes that the student has insufficient grounds for an appeal, there can be no further appeal by the student. If the dean concludes that sufficient grounds do exist for an appeal, the dean shall appoint a faculty committee of five members to consider the case. If a majority on the committee decide that the grade should be changed and the instructor does not accept the recommendation, the committee can authorize the university registrar to change the grade. The decision of the committee is not subject to further appeal. In appeal cases in which the dean is the instructor, the role of the dean will be assumed by the Provost. In those appeal cases involving courses taught by faculty from more than one college, the Dean of University College will review the appeal and, if necessary, appoint the appeals committee. In cases of academic misconduct, both the student and instructor must document their allegations and refutations in writing, including any supporting material (e.g., copies of the student’s work, copies of other materials used but not referenced in the student’s work, etc.) relevant to the case. Such written evidence will be reviewed in accordance with the grade appeal process followed by the college or unit. Complete information on the rights and responsibilities of students and faculty relative to grade appeals is available at the Office of the Ombudsperson. If you need assistance in understanding the grade appeals process or in preparing a grade appeal(s), contact the Ombudsperson, Baker University Center 501, 740.593.2627. The office will be able to be of greatest assistance, if you make contact early in the process. This grade is given when the student does not officially drop a class for which he or she is officially registered but did not attend. FN counts as an F in the GPA. As with any other undergraduate grade in a nonrepeatable course, the FN may be replaced in the grade point average by the last grade earned if the course is retaken. This grade is given when the student stops attending but does not officially drop a course for which he or she officially registered and attended at least once. It counts as an F in the GPA. In addition, the last date of attendance indicated is recorded on the student’s academic record. As with any other undergraduate grade in a nonrepeatable course, the FS may be replaced in the grade point average by the last grade earned if the course is retaken. 1) No course taken pass/fail may be used to fulfill any graduation requirement (college, school, or department) other than the total hours requirement. For example, courses taken pass/fail cannot be used to meet distribution requirements, minor or certificate requirements, requirements of courses above a specified level, a specific course established as a major requirement, or any other such requirements in the student’s program. Colleges may refuse permission to use the pass/fail option for courses that are eligible to meet any such requirements that have not already been met by the student; if they do grant permission in such a case, the student will have to meet that requirement with some other course. Such courses taken pass/fail prior to the student’s entering the program cannot apply to program requirements other than total hours for graduation. 2) The student may take no more than one class per term or session by pass/fail. 3) The student may complete no more than 12 semester hours under this option. 4) The instructor is not to know who elects his or her course on the pass/fail option. A letter grade will be turned in and then converted to a P or F on the student’s academic record by the University Registrar. The original letter grade cannot be retrieved. To initiate the pass/fail option, the student should register for the class by accessing My OHIO Student Center, and then contact his or her college or regional campus student services office (no later than the Friday of the second week of the semester or the Friday of the first week of a session) to request that a class be taken pass/fail. Pass/fail requests by regional campus students are reviewed by the student’s college student services office on the Athens campus, and may be denied if an inappropriate choice has been made. Pass/fail applications cannot be processed through My OHIO Student Center. Same Value as “CR” grade. Became inactive Fall 1967–68. TCT N/A Career Technical Credit. TAA N/A Articulation Agreement Credit. TA N/A Transferred grade of A.
TA- N/A Transferred grade of A-. TB+ N/A Transferred grade of B+. TB N/A Transferred grade of B.
TB- N/A Transferred grade of B-. TC+ N/A Transferred grade of C+. TC N/A Transferred grade of C.
TC- N/A Transferred grade of C-. TD+ N/A Transferred grade of D+. TD N/A Transferred grade of D.
Transferred grade of D-, D, or D+. TD- N/A Transferred grade of D-. TCR N/A Transferred grade of CR. TP N/A Transferred grade of Pass. TX N/A Transferred Experiential Learning. This grade designates classes dropped after the Friday of the second week of the semester (Friday of the first week of a session). It indicates that the student never attended or participated in the class. Effective Fall Semester 2017-18. The Dean’s List, compiled at the end of each semester, includes the names of all students whose GPA for the semester is at least 3.5 for a minimum of 15 semester hours of credit earned, including at least 12 hours attempted for letter grades that are used to calculate the GPA. At the close of the semester, the academic record of each enrolled undergraduate student (regardless of student enrollment status) will be reviewed to verify the accumulative GPA. At the time of the review, if you do not have the required 2.0 minimum accumulative GPA, you will be placed on academic probation. To be removed from probation, your accumulative GPA must reach at least a 2.0. If you are on probation and fail both of the criteria described above, you will be academically dismissed. Students with 90 or more semester credit hours earned: If you are on probation in a given semester and you have 90 or more semester credit hours earned at the end of that semester, you must achieve a 2.0 accumulative GPA to avoid academic dismissal. Some colleges require higher standards of performance than the University’s 2.0 minimum. If you have been dropped from a college because of failure to meet such additional standards but are not subject to dismissal according to the University rules, you are still eligible for admission to other programs in the University. International students placed on academic probation are strongly encouraged to meet with an advisor in International Student and Faculty Services to discuss their situations. International students in F–1 or J–1 status who are dropped from their programs or from the University must see an advisor in International Student and Faculty Services. Dismissal (Drop) and Reinstatement. If you have been dropped, you are not able to enroll for courses at Ohio University. You may petition your college student services office for reinstatement, but normally reinstatement will not be granted until at least 12 months after your dismissal. As a condition for reinstatement, the dean of your college may suggest remedial steps you can take. Note: An instructor may impose a grade penalty for academic misconduct and/or file a student conduct referral. In cases of academic misconduct, an instructor has the authority to administer a failing grade. If an instructor who has accused you of plagiarism lowers your course grade, you may appeal this grade first through the instructor, then the department chair or school director, and then the dean of your college. In cases of academic misconduct both the student and teacher must document their allegations and refutations in writing, including any supporting material (e.g., copies of the student’s work, copies of other materials used but not referenced in the student’s work, etc.) relevant to the case. Such written evidence will be reviewed in accordance with the grade appeal process. The instructor also has the discretion to refer your case to the director of the Office of Community Standards and Student Responsibility for resolution under the Student Code of Conduct. A student or student organization found to have violated the academic misconduct offense will be subject to the full range of sanctions including reprimand, disciplinary probation, suspension, or expulsion from Ohio University. Please note, the Office of Community Standards and Student Responsibility does not have the authority to modify a grade given by an instructor. If you wish to appeal the decision of the Office of Community Standards and Student Responsibility, such as suspension or expulsion, you can request that the matter be reviewed by the university appeal board. Details of appeal procedures are included in the Student Code of Conduct online at www.ohio.edu/communitystandards. Further information on academic misconduct is available from the Office of Community Standards and Student Responsibility, Baker University Center 349, 740.593.2629, communitystandards@ohio.edu. Academic honesty is a core value of Ohio University. Degrees awarded may be revoked by the President of Ohio University in accordance with Ohio University’s policies and procedures. Consistent with the Family Educational Rights and Privacy Act of 1974 (FERPA), all of Ohio University’s policies and practices governing the collection, maintenance, review, and release of student records will be based on the principles of confidentiality and your individual right to privacy. The specific policy can be found online at www.ohio.edu/policy/12-020.html. There is a $10.00 per paper transcript fee* and $8.00 per electronic transcript fee* (pending availability) for regular processing (generally 2–3 business days). There is an additional $10.00 fee* for each transcript processed on the same day requested (i.e., a paper transcript processed on the same day as requested will cost $20.00). Same day requests must be submitted by 2:00 PM EST. Transcripts can be ordered online, by mail with a signed letter of request including payment by check or credit card, by signed FAX with payment by credit card, or in person at the Office of the Bursar or regional campus student services office. The student is required to provide their signature authorizing release of their transcript. Online orders may be “automatically authorized” without the student’s signature provided appropriate information can be confirmed when placing the order. To find out more about the various processing, application, and delivery options available and to obtain a transcript request form, go to the registrar’s website at www.ohio.edu/registrar/transcri.cfm; visit Registrar Services, 1st floor, Chubb Hall; call the registrar’s office, 740.593.4206; or send an email to transcripts@ohio.edu. To obtain a replacement diploma, provide a notarized affidavit attesting that the original diploma has been lost or destroyed, or verification of a name change, to the registrar’s office along with a request for a new diploma. In the case of a name change, you must also return the original diploma. Instructions for verifying a name change are available from the registrar’s office. The fee for diploma replacement is $15. Visit www.ohio.edu/registrar/grd.cfm for more details. The replacement diploma will be the same physical size as the current diploma size, will contain current titles and signatures of University officers, and will have the notation “official replacement.” Please allow four to six weeks for delivery. Various state and federal laws require Ohio University to provide information and notice to students on a variety of topics. In addition, Ohio University occasionally develops statements or policies on important matters and distributes them to all students. Below is a listing of official notifications that are currently provided to students. Notices on these topics are provided via email to all registered students as of the deadline for registration in each academic semester. Email is sent to each student’s official University email address. These notices are routinely available at the University’s website at: www.ohio.edu/students/notifications/. Further, it is a student’s responsibility to know and follow current requirements and procedures at the department, school, college, and University levels, including those described in the University’s Undergraduate Catalog, Graduate Catalog, Student Housing Handbook, and University Policy and Procedures. All students are subject to the rules of behavior as outlined in the Student Code of Conduct.